Home crime racism Tatiana M. Brown Circuit Court Judge Calls Minorities "Predisposed to Crimes"
Circuit Court Judge Calls Minorities "Predisposed to Crimes"
Several civil rights organizations have filed a judicial misconduct complaint against U. S. Federal Judge Edith Jones for allegedly stating minorities are “predisposed to crimes” and other biased comments. 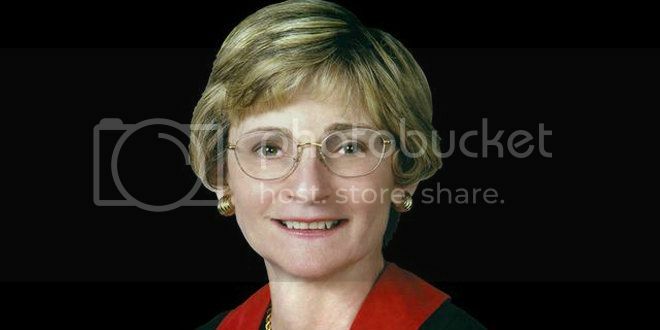 According to “Edith Jones, Federal Judge, Made Racists Remarks, Claimed Minorities “Predisposed to Crime”: Complaint” by Will Weissert for HuffPost Black Voice, Judge Edith Jones, who serves as the 5th U.S. Circuit Court of Appeals, allegedly made these comments at an event at the University of Pennsylvania Law school on February 20th. The event, Federal Death Penalty Review with Judge Edith Jones (5th Circuit), which was put on by the Penn Law School Federalists Society was designed to be an educational discussion of federal death penalty through the eyes of a federal judge. The event was not recorded, therefore her comments are not on tape; however, five students and one attorney signed affidavits confirming what they heard. Mexican Capital Legal Assistance Program, the League of United Latin American Citizens, the Texas Civil Rights Project, and the NAACP, Austin and the National Bar Association, Houston filed the complaint. It official alleges that Judge Jones’ conduct, “undermines public confidence in the integrity and impartiality of the judiciary, and creates a strong appearance of impropriety." According to the complaint, Judge Jones allegedly said, "racial groups like African-Americans and Hispanics are predisposed to crime," and that they are "prone to commit acts of violence" and be involved in more violent and "heinous" crimes than people of other ethnicities. The complaint also states that Jones said defendants' claims of racism, innocence, arbitrariness, and violations of international law and treaties are just "red herrings" used by opponents of the death penalty”. These comments are disturbing because now we must wonder if, as a judge, she has made biased decisions. Her use of “predisposed” is questionable. To be “predisposed” is to be susceptible, or likely influenced, or to simply be heading in the direction of crime already. In her speech did she cite the reasons why she believes minorities are “predisposed”? Does she have any facts or studies as to why she believes this? Jones also stated that “minorities” are also more likely to be involved in heinous crimes, which according to the FBI report, Crime in the United States 2011, is false. Although the report did say more blacks commit murder, as far as other violent crimes Whites commit more. The fate of Judge Edith Judge, who was appointed by Ronald Reagan in 1985, rest in the hands of Current Chief Judge of the 5th U.S. Circuit Court of Appeals, Carl E. Stewart, the first African-American to fill that post. He will decide to dismiss the complaint, speak privately with Jones or launch an investigation into the allegations. However, many are not on the side of Jones, Representative Cedric Richmond (D-LA) has called for a full and swift investigation by the 5th U.S. Circuit Court. Progress of the case will develop in time.